The point of enrolling in a truck driving school or program is to obtain your CDL or commercial driver’s license so you can get on the road and begin making a living. Even more importantly, choosing the RIGHT truck driving school is critical not only for your training, but to get the highest level of professional skill, academic achievement, and career development. Truck driving can be a lucrative and recession proof career. It is also a profession that provides the perk of seeing a lot of country and being out on the open road. 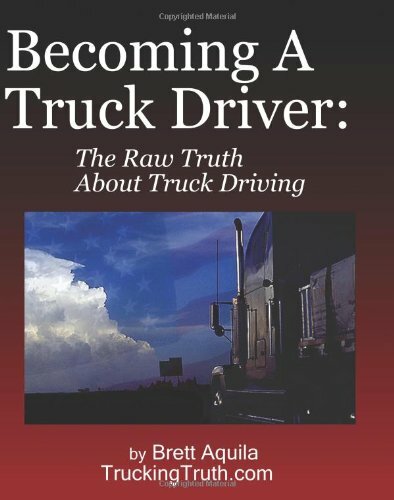 With the recession of the economy around five years back, many people who lost their jobs turned to truck driving. With a relatively short training period, and opportunity for a large return on investment of tuition, finding a truck driving school becomes a very attractive option for the person looking to switch up professions or change careers in a short amount of time. The training you receive can make or break your career, so the research you put in to choosing a school is very important. So how does one go about finding and choosing a truck driving school? Most of the schools and programs you find will be anywhere from six to ten weeks long. They include classroom course work and live driving under the supervision of an instructor. There are many options out there, but finding one that fits your needs is most important. Many Trucking companies will offer to pay your tuition in return for working for the company afterwards. The positives of choosing this route is that you will be trained by instructors who have a lot of on the road experience. Training will be anywhere from six to eight weeks. The trucks and facilities used will be current and up to date and in many cases and the company will cover the costs of your training if you agree to work for them after completion. What really needs to be looked at closely however are the terms and agreement from the trucking company. How long do you have to work for the company after CDL completion to qualify for tuition reimbursement? If for some reason you have to leave for family or personal reasons, are you still eligible for tuition reimbursement? It is important you read and understand the fine print before you go this route. Many times, companies will pay drivers the bare minimum in the beginning, and once they work their way up to higher pay scales, be released for a new driver that they can pay less. Make sure you ask current and previous students about their experience with the company. Local community colleges and vocational schools will very often offer courses for CDL completion. These are often the most affordable. What needs to be made sure of is that the school is fully accredited and in good standing. What type of job placement to employers are offered after completion of the course? What is the percentage of graduate who get jobs after CDL course completion? What is the student to driving instructor ratio? What options are available for financial aid? The trucking industry is like two separate worlds. There are companies looking to hire drivers with at least a year experience, and companies that hire recent grads. If you have some experience under your belt, typically at least a year, there are companies out there where you can drive regionally, have home time, and make a good wage. The companies looking to hire recent grads for the most part all share the same theme. Work the drivers hard for low wages, recycle, get the next new grad, and start the process over. It’s just the nature of the business. Not that it’s bad, because every driver has to start somewhere, but it is what it is. Once a driver has that year of experience under their belt, then they can be off to the races. The bottom line is the truck driving school you choose needs to be right for you and your situation. Take your time exploring options.